There are only 65 days left in the year! With the holiday season officially upon us, those 60+ days are going to go fast. Before you know it, you’ll be ringing in the new year and trying to decide what this year’s resolution is going to be. If you are like most Americans, you’ll be making a fitness-related resolution this year, and it’s probably not the first time you’ve done it. 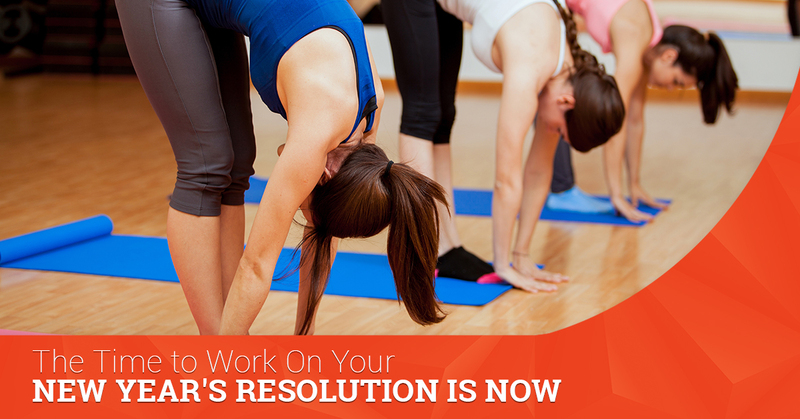 Most people who make a fitness resolution have made them many, many times in the past, too. If that sounds like you, then it’s time to do things differently this year. Instead of waiting for the new year to begin, it’s time to start working on your resolutions now. Because our gym has child care, personal trainers, and all the classes and equipment you could need, Ellis Athletic Center is the perfect place to get it done. Avoid the post-New Year’s gym crunch. If you’ve ever joined a gym after the New Year, then you know what we’re talking about. A lot of gyms are packed with people who have made it their resolution to achieve a fitness goal. By February, they start to disappear. But why bother with the packed gyms when you could start working out now and start to see the results well before the new year arrives? That way, you avoid disappearing from the gym in February, too, because you’ll be motivated by the progress you’ve already made. You’ll skip the holiday weight gain. We all know how easy it is to gain weight over the holidays. If you start your new fitness routine now, though, you can avoid the weight gain and even get a jump on knocking off some of those excess pounds you are already carrying. Our personal trainers can work with you to ensure you are able to enjoy the holidays and avoid depriving yourself of those tasty holiday treats while still staying healthy and fit. You’ll enter 2018 feeling good about yourself. How do you usually feel on January 1st? A lot of people look in the mirror and aren’t happy with what they see. They’ve put on weight over the holidays. They haven’t been exercising. And now they are starting another year feeling down about themselves and not feeling or looking their best. Is that how you want to start 2018? Or would you rather start it feeling like a champion? You could actually achieve your fitness goals. If you’ve been making New Year’s Resolutions year after year about your fitness and you aren’t achieving your goals, then it’s time for something to change. It’s time to try something different. Starting now and working with a personal trainer can help you stay focused and motivated, instead of hitting the gym hard in January and avoiding it like the plague by March. Working with a personal trainer and starting today could be what you need to do to finally hit those goals. We have a team to help you do it. Our personal trainers are ready to get to work. If you want to start achieving your fitness goals now and not two months from now, we’re ready to get started, too. Talk to our team about becoming a member of Ellis Athletic Center today. And if you are already a member, ask how you can get a free one-hour personal training session! Ellis Athletic Center is your fitness resource! We value the health and wellness of the Newtown Square community, and our gym is designed with services and amenities for everyone. Expect the best fitness experience ever. ©2018 Ellis Athletic Center - Do not copy. All rights reserved.